2019 is the Year of the Pig – and we’ll be celebrating with our very own take on traditional Oriental cuisine. We’re actually going for a bit of Asian fusion here this year! Whet your appetite with such dishes as Cantonese pork ribs, Vietnamese crab cakes or mouthwatering Thai curry. Book early to avoid disappointment. Chop chop! Happy Australia day to all our friends from Down Under – and all our friends from down the road too! Come and join us on Saturday 26 January. We’ve got billabongs full of amber nectar – of the beer AND wine variety – and some exciting specials that leave you with a spring in your step (yes, kangaroo will be on the menu!) so come along and say g’day! Just letting everyone know that we will only be serving a limited menu due to an equipment refurb in our kitchen. Normal service will resume the following week – and liquid refreshment will be available throughout! Now the Christmas madness is over we’re treating ourselves to a belated staff knees-up this Sunday evening (6th January). Sunday lunch will happen as normal and the bar will be open from 11am to 5:30pm. We host a wonderful wine club on the second Thursday of every month led by certified wine educator Nina Cerullo. Each month you will sample eight fine wines from around the world, learning about each of them in a relaxed and informative way. Plus, a cheeseboard! Watch this space....next date to be announced! Join us for a special selection of fantastic fresh fish and seafood dishes. Choose from dishes including Greenlip mussels, roasted calamari and monkfish curry…and much much more! Have you tried our home-made shortbread yet? It’s to die for, even if we do say so ourselves. Enjoy with a freshly brewed coffee and the morning papers. Bliss! 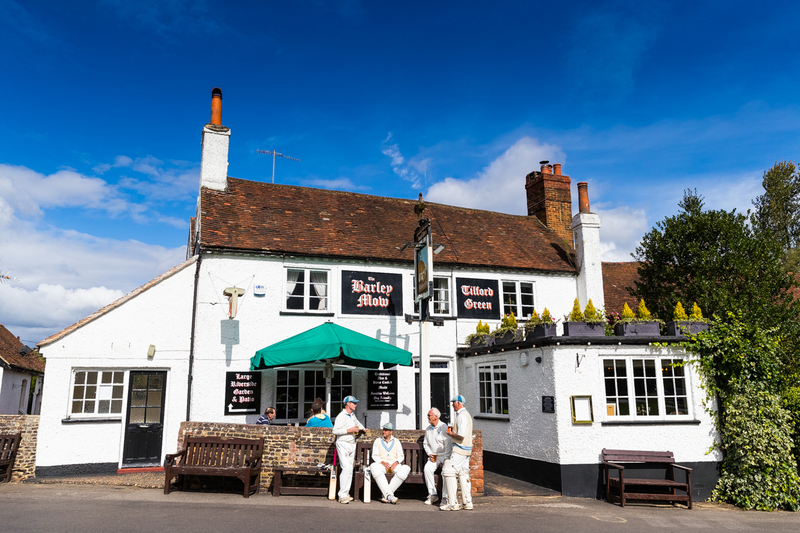 One of the most picturesque pubs in the UK and set in the stunning Surrey Hills; The Barley Mow is the perfect venue for your wedding reception. We offer high quality food and drink in a beautiful location, customised to your request.